Bayern Munich won their second straight German Cupercup last season and can make it three against Eintracht Frankfurt (AFP/Getty Images). Eintracht Frankfurt host Bayern Munich at the Commerzbank-Arena in the German Supercup on Sunday. The Bavarian giants are well placed to exact revenge and claim their third straight title. Eintracht had a solid 2017-18 season, finishing 8th in the Bundesliga after looking like European candidates but redeeming themselves with the German Cup. Their 3-1 win against Bayern Munich at the Olympiastadion was fully deserved and followed a 2-1 defeat by Borussia Dortmund in the 2017 final. Manager Niko Kovac moved to FC Bayern and has been replaced by Adi Hütter. The 48-year-old guided Young Boys to their first Swiss Super League crown since 1986 last season which followed an Austrian Bundesliga and Cup double with Red Bull Salzburg in 2014/15. Eintracht have seen some influential players depart this summer including Lukas Hradecky, Omar Mascarell, Marius Wolf and Kevin-Prince Boateng. The Eagles’ main signings include Evan N'Dicka and Lucas Torró with Carlos Salcedo and Ante Rebic making their loan moves permanent. Their pre-season form has been unconvincing with one win in five matches. Despite playing at home, the match against a fired up Bayern could be step too far at this stage of the season. Eintracht Frankfurt won the German Cup before Niko Kovac moved to Bayern Munich (AFP/Getty Images). New manager Niko Kovac has big boots to fill after taking over from Jupp Heynckes. The former FC Bayern player had a successful two years in Frankfurt, winning the club's first trophy in 30 years and will know most of the Eintracht players inside out. The Bavarians will be hurting after the favourites were soundly beaten by the Eagles in the German Cup final. You can be assured that the extra motivation will be high on the agenda as they look to lay an early marker to start the 2018-19 season. The only departure of note has been Arturo Vidal to Barcelona. Leon Goretzka comes in on a free transfer while the on loan Serge Gnabry and Renato Sanches return to the club. 18-year-old Canadian whiz kid Alphonso Davies was signed for €10m and will join the club in January. Their pre-season form has been satisfactory with two wins and two defeats against high quality opposition. These clubs have met on 95 occasions with Bayern dominating at home but matches in Frankfurt evenly split. Eintracht’s German Cup win snapped a three game losing streak against the Bavarians. Eintracht had also lost 11 and drawn three matches against Bayern before their Cup win, which shows how dominant the Bavarians have been in recent seasons. The losses of Omar Mascarell and Kevin-Prince Boateng hurts Frankfurt in the middle of the park where most matches are won and lost. FC Bayern have a wealth of class and experience in that position including Thiago, Corentin Tolisso, Leon Goretzka and Javi Martínez. 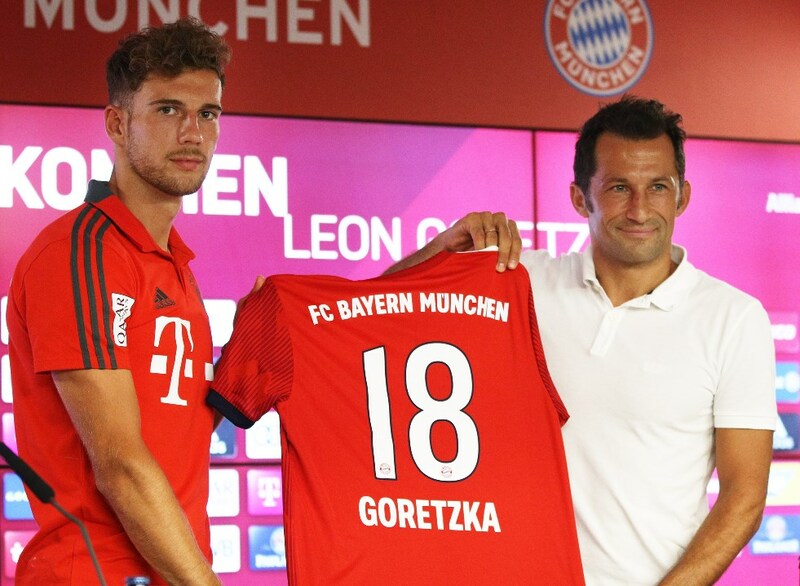 Midfielder Leon Goretzka can take his game to the next level at Bayern Munich (Getty Images). Bayern Munich have won 11 of the last 15 matches against Eintracht Frankfurt (All Competitions). Bayern Munich have won the past two German Supercups. Bayern Munich's Robert Lewandowski has scored 3 goals in his last 3 starts against Eintracht Frankfurt (All Competitions). Eintracht Frankfurt have lost 8 of their last 14 matches (All Competitions). Eintracht Frankfurt have beaten Bayern Munich once in their last 15 matches (All Competitions). These clubs have seen over 2.5 goals in 4 of their last 5 matches (All Competitions). Eintracht Frankfurt have a slight advantage playing at home but have a new manager and high player turnover. FC Bayern also have a new manager but are settled and desperate for revenge. Bayern are short at 1.40 so for value we turn to the Win & Over/Under 2.5 Goals market. These clubs have seen over 2.5 goals in four of their last five matches and over 3.5 goals in three of their last five. Robert Lewandowski celebrated his third top scorer's award in 2017/18, his 29 goals taking his top-flight total to 180 goals in 257 outings. The Poland striker is deadly and can open the scoring in Frankfurt. German Cup 2018-19 Preview: Can Bayern Munich reclaim their throne?